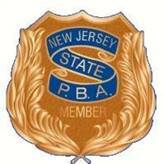 The Freehold Borough Policemen's Benevolent Association (PBA) would like to remind our residents and businesses that we never request donations over the phone. If you are contacted over the phone by any entity asking for donations, it has nothing to do with the Freehold Borough Police Department. If anyone has any questions, please contact one of our PBA officers. Thanks.